Made up of children aged from 7 to 13, the Young Voices delight audiences with their surprising range of performance skills, and always inject fun and enthusiasm into every piece. The choir sings a varied repertoire including show tunes and popular classics, and of course, The Song of the Music Makers, which contains the choir motto ‘For the Joy of The Singing’. The members of the Young Voices benefit greatly from the opportunities and experiences they gain from the choir, such as singing as part of a group on a variety of stages, as well as showcasing their talent in solo performances. Singing from the age of seven years onwards ensures young people can learn to sing well and develop their vocal talents, helping them gain confidence which transfers throughout all aspects of their education. The choir runs in line with the academic school year observing Kirklees school holidays. Auditions are held throughout the singing year and include short vocal and rhythm tests, and each child will have the opportunity to sing a song of their choice. Our three boys joined the choirs from 2008 to 2012 and are currently involved across all sections of the choir. We have seen their confidence and performance in other interests and at school increase exponentially over the years. We hope they all continue with music for the remainder of their lives as it is so good socially, spiritually and for mental and physical health. Both my husband and I have sung in choirs and were keen for Haydn to experience the sense of community and emotional engagement you get, both with the music and with those who sing in the choir. 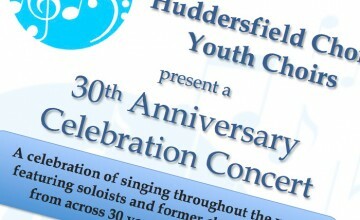 The opportunity to join a choir linked to the Huddersfield Choral seemed perfect as it has an excellent reputation. I really enjoy meeting my friends at choir and doing something I am good at. Choir has helped me stand up to my fears and express myself better and to be confident in all I do.